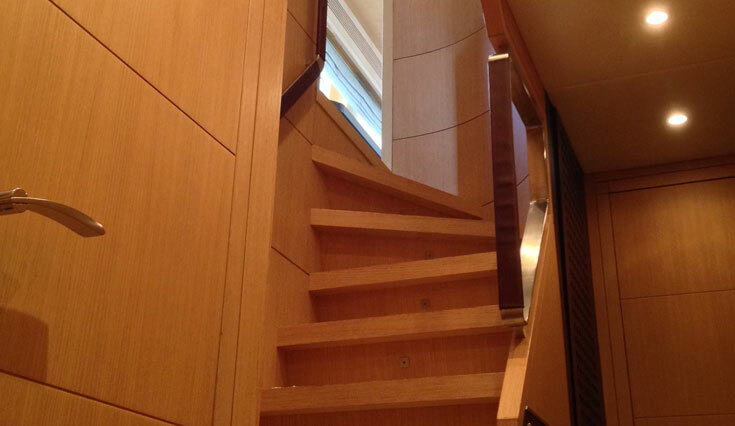 Charter yachts are all accustomed to wear and tear and this yacht is no exception. The interior was suffering from water damage and sun bleach leaving parts of the interior looking tired and faded. The shower heads were also discolouring and cracking. 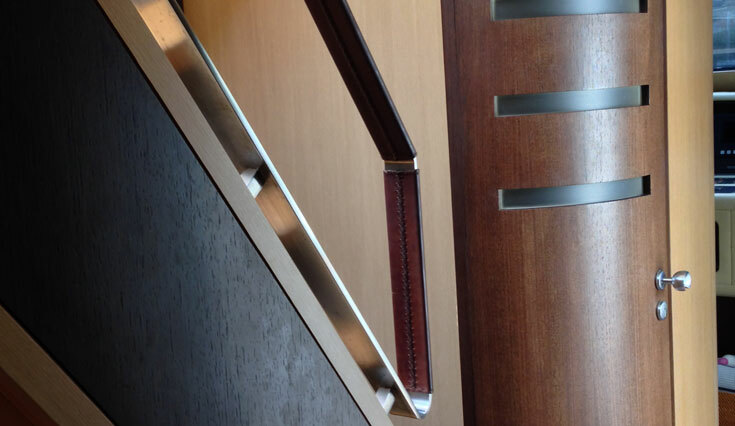 A specialist vinyl film application was applied skilfully by the team behind the bridge and in the corridors and staircase leading to the flybridge. 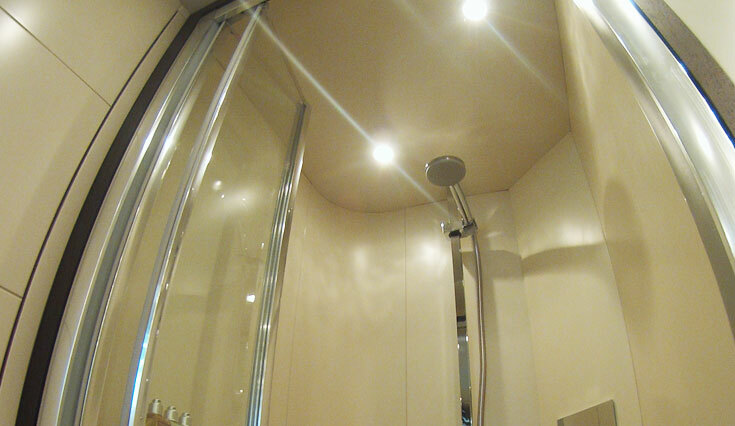 A white foil was also applied to the ceilings in the showers. 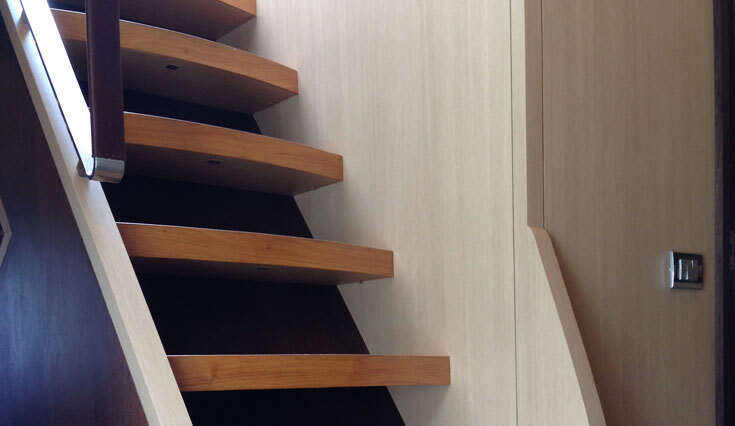 The result gave an immediate refreshment to the interior with minimum disruption to the yacht. 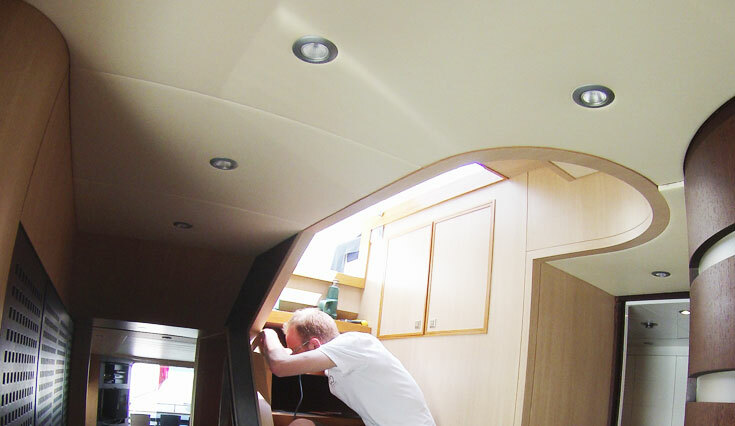 ” Post season the interior still looks great.. we would like to schedule in works to the saloon area… The team working onboard were professional, prompt, clean workers and a pleasure to deal with. The whole process was made easier by the great communications from start to end including the after service. Thanks Wild Group.” Comments Captain, MY Asha. 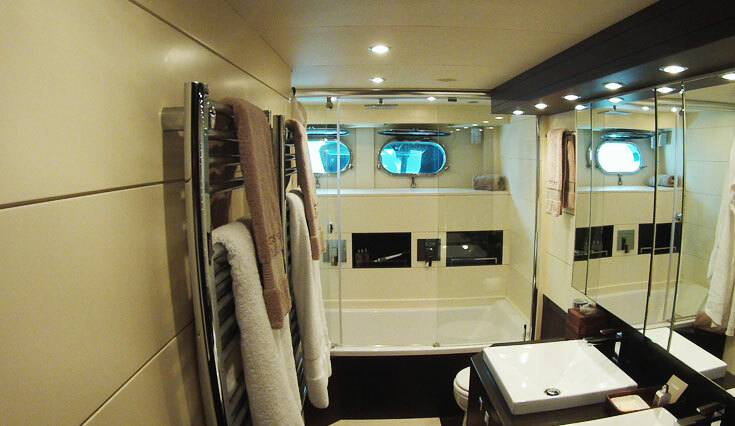 Luxury charteryacht Asha is a 28m luxury modern Maiora motoryacht.